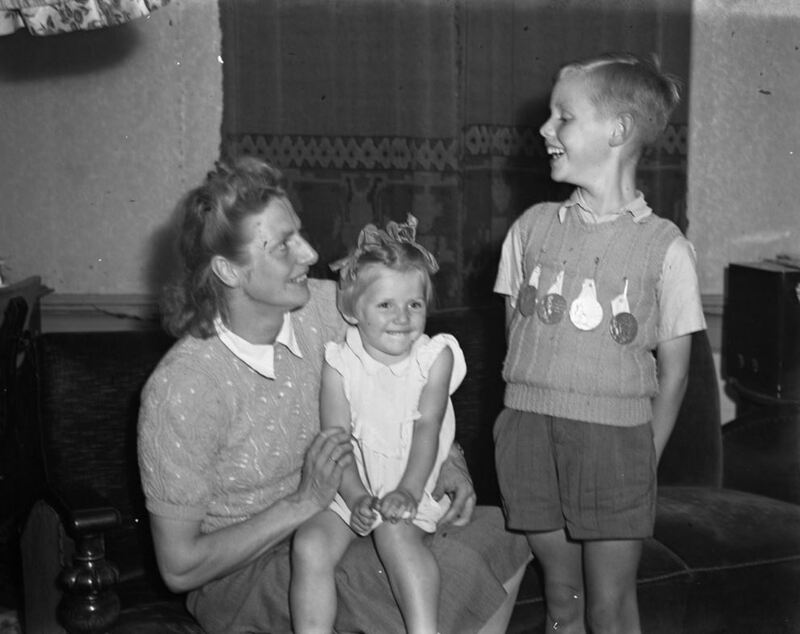 When Fanny Blankers-Koen won four gold medals at the 1948 London Olympics, she was 30 years old and a mother of two. Even more amazingly, Blankers-Koen won the gold in the 100-meters, the 80-meter hurdles, the 200-meters and the 4×100 relay while 3 months pregnant! If the press was aware of that, it’s possible Blankers-Koen would have been attacked more aggressively. And yet, the what the press wrote must have rankled, typically being described as the “shy, towering, drably domesticated” housewife. And yet, Blankers-Koen was indeed in conflict between personal achievement and family. After she had won her second gold medal in the 80-meters, barely, she was ready to go home. The unending criticism and the pressure to win combined made her homesick. But her husband and coach, Jan Blankers, convinced her that glory was hers for the taking. So Blankers-Koen trooped on, still breaking down in tears after a 200-meter heat. The Flying Dutchwoman went on to win gold in the 200 meters and 4×100 relay, convincingly, establishing her place in the Olympic Pantheon of greats. Blankers-Koen set 16 world records in eight different athletic disciplines. In 1999, she was voted female athlete of the 20th century by the International Association of Athletics. 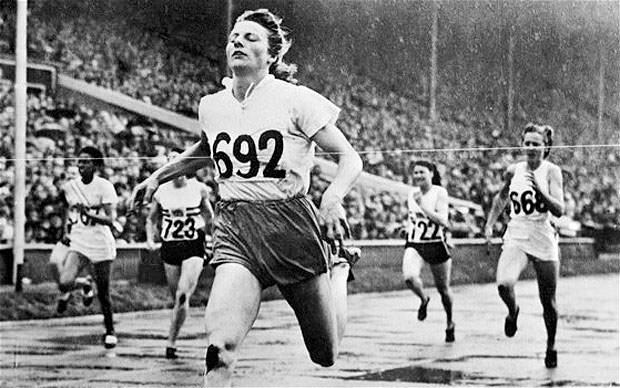 Posted in Gender, Other Olympics, Track and FIeld and tagged 1948 London Olympics, Fanny Blankers-Koen, female athlete of the 20th century, Jack Crump, pregnant, Sebastian Coe, The Flying Dutchwoman, The Flying Housewife. Bookmark the permalink.